What Are Employers Doing to Help Workers Quit Smoking? What Are Employers Doing to Help Workers Quit Smoking? What Are Employers Doing to Help Workers Quit Smoking? Quitting smoking is one of the most common and most challenging new year’s resolutions. As the first month of the year will soon become a memory, so too will most attempts to quit smoking. Looking for ways to help increase the odds of success for your workers? 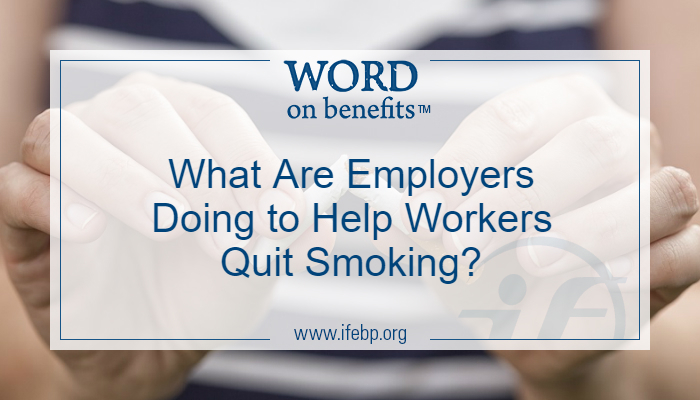 Many employers have smoking-cessation programs and/or smoking surcharges in place. Here’s a look at what others are doing and a reminder of legal considerations. How many organizations offer tobacco cessation programs? The International Foundation Wellness Trends 2017 Survey Results showed 59% of respondents offered a smoking-cessation program and an estimated 16% of workers who smoke participated in the program. 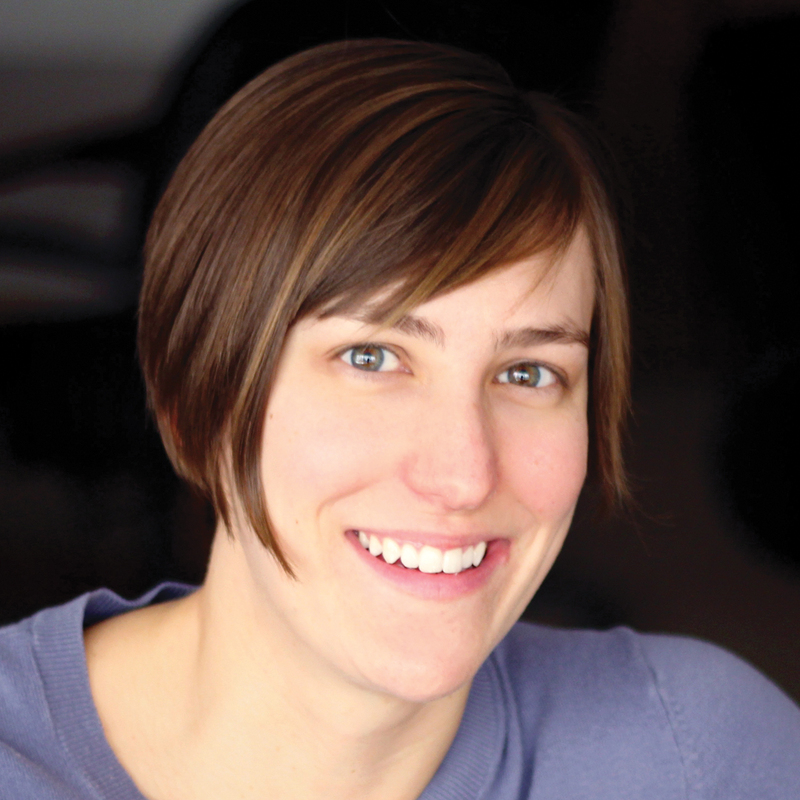 How are tobacco-cessation programs designed? Smoking-cessation programs are considered participatory wellness programs if either no reward is offered or the plan provides a reward for participating (i.e., reimburses employees for the costs of participating) in a smoking-cessation program without regard to whether the employee quits smoking. Participatory wellness programs comply with the HIPAA nondiscrimination requirements so long as the program is made available to all similarly situated individuals. What is a tobacco surcharge? Here are two ways to think about it: An extra charge on the health care premiums for tobacco users. Or, a lower premium contribution for those employees who are not tobacco users. The concept is also called a premium differential, tobacco-use surcharge or smoker surcharge. Do other employers use tobacco surcharges? The Mercer National Survey of Employer-Sponsored Health Plans found that 22% of large employers (500 or more employees) use tobacco surcharges. Among employers with 20,000 or more employees, this rises to 41%. Among employers reducing the premium for employees who are not tobacco users, the median annual reduction is $520. Most of these employers rely on the honor system (including affidavit) or peer policing to verify employees’ tobacco-use status. Only 10% use cotinine testing, which indicates nicotine intake levels. Large organizations and manufacturing companies are more likely to offer tobacco surcharges according to the Willis Towers Watson Best Practices in Health Care Employer Survey. Why do employers implement a tobacco surcharge? Support a culture of health. Encourage employees to quit smoking. Manage health care costs. Generally, the extra premium dollars paid by smokers go into a health care claims account to cover additional health care claims incurred by smokers. What are the drawbacks of a tobacco surcharge? Has not proved effective in encouraging smokers to quit or reducing tobacco use. Higher premiums may make health coverage unaffordable for smokers so they may go uninsured. Reduces engagement and morale among smokers. Ensure that any tobacco surcharge program is designed carefully, along with a tobacco-cessation program, and is compliant with wellness incentive rules. Nicotine addiction is a health status factor protected by Health Insurance Portability and Accountability Act of 1996 (HIPAA). Offering a reward based on a person’s ability to stop smoking. Requiring satisfaction of a standard related to a health factor. Considered an outcome-based wellness program. Promotes good health and prevention of disease. Ensures the premium differential between smokers and nonsmokers is not more than 50%. Gives employees a chance to avoid the tobacco surcharge at least once per year. Provides a “reasonable alternative standard” to smokers in order to avoid the tobacco surcharge. For example, the reasonable alternative standard could include avoiding the surcharge in return for attending tobacco-cessation educational classes, even if the employee fails to quit smoking. Notifies employees that a reasonable alternative standard is available. Check out the Center for Disease Control site Smoking & Tobacco Use for ideas to help you communicate with your employees, including shareable infographics and multimedia tools. Smokefree.gov, created by the National Cancer Institute, is a great place for people who are thinking about quitting to get free tips and support tools (phone, chat, text, mobile apps).